BRENDA GUY THE ONE WOMAN SHOW - Opening act for The Fabulous Thunderbirds September 2016, featured on The Sam Malone Radio Show July, 2015, North of The Border Entertainment Guide - October 2013, The Houston Chronicle chosen entertainer for their 2012 Hall of Fame Event, Gigmaster's 2012 featured on The Knot Wedding site as one of Houston 's most "talented" entertainers performing a variety of genres! Why choose me as your entertainer? 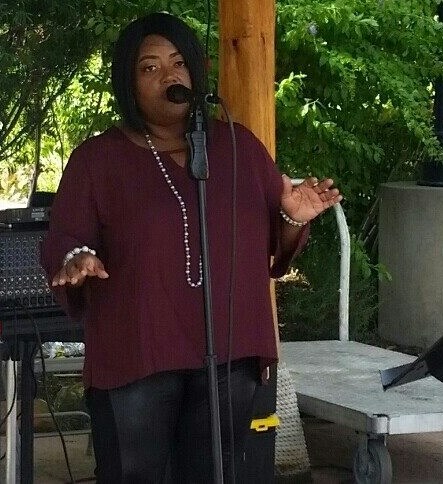 Choose me because I am one of Houston's most chosen entertainers singing a variety of genres. No matter what your musical needs are, I am your committed, professional and charismatic entertainer who loves to pull the audience into an enjoyable time during my performances. I have receive RAVE reviews from ALL of my clients!! 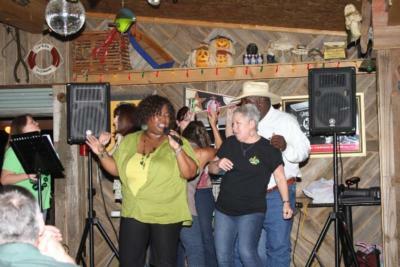 I am a native Houstonian, and have performed in the Houston & surrounding areas for over 20 years. I am experienced and trustworthy!! When I am not performing MY SOLO SHOWS; I sing with various local bands. By choosing me as your entertainment, I promise to provide your guests with a quality and truly memorable experience. I am flexible and strive to exceed your expectations! I LOVE "all things music"........I perform a variety of genres, ranging from Rhythm & Blues, Pop, Country, Classic Rock and even an occasional special request. I'm accompanied by Professional Backing Tracks and a Full PA System. As a result, you get a Full-Band Sound without the Full-Band Cost!! I take each opportunity to showcase my GOD given talent by song delivery, connecting with my audience and creating an atmosphere of joy, laughter and FUN! Believing music comes from deep within, overflows outwardly and soothes the souls of many I've had the opportunity to share my gift at many great venues and corporate events. Allow me to create that special; yet unique performance for your event. Thank you for the opportunity to share a part of me with you. Take care and GOD bless! She's very thorough, professional - and we all loved her. A great singer - absolutely the best we've ever had! Brenda Guy is the most talented singer on the planet!!! Her voice is incredible! She brings everyone to their feet! I would highly recommend her!!! We drove out to see her perform in Kemah. Right when we drove into the parking lot, we could already hear her singing and we knew she was the one we wanted to hire for our wedding. Brenda is professional, personal, and performed exactly how we discussed. When she came and did a sound check, my friends were blown away at how talented she was. One of the groomsmen actually said that when she sang he got "goosebumps" because she sang so beautifully. She is reliable, trustworthy, ultra friendly, extremely patient, and is such a joy to be around. It was easy to communicate with her; we did most of our communications through email. I recommend her 100 times fold. Brenda was fabulous! Her selections were great old time rock n roll. Everyone from 70 to 3 danced and loved every minute! Thank you Brenda! We will have you to our next party! She was fantastic, and our group loved her! Brenda is the consummate professional! She puts a show that parallels or outshines many of the so called "top artists!". Her repetoire, interaction with my guests was excellent and totally exceeded my expectations. She was very flexible with the timing and presentation of her sets. I would strongly recommend her to anyone who is interested in having a top notch performer that understands the meaning of giving a classy performance that satisfies all. Both during and after the party, our guests were saying how pleased they were with the entertainment. Many of our attendees have already requested her contact information. My wife and I plan on seeing her perform again!! Brenda performed for my husbands suprise 60th birthday party. She showed up and showed out delivering the most , superb performance. She is a professional in her industry. She is no diamond in the rough, but a well polished gem. Her passion for music is evident in the delivery and presentation of her performances. She is a phenomenal woman. To say that she is the best is a understatement. She came ahead of time, got everything in place, and entertained the party with her fantastic voice and ebullient personality. Everybody loved her. Next time I have a party I don't have think twice about who will entertain us. I highly recommend Brenda! She was absolutely amazing!! She had the entire crowd up and dancing. There was even a moment where the women of the family were up dancing with Brenda in the middle as back-up singers for her during Rolling on a river. She arrived on time, dressed perfectly for the occassion to match the wedding colors, very professional and BEAUTIFUL voice. She was easy-going, great to work with, gave lots of great suggestions and learned songs that I wanted to be sung for the wedding. She was GREAT!!!! Will hire for the next event I will throw in the future. 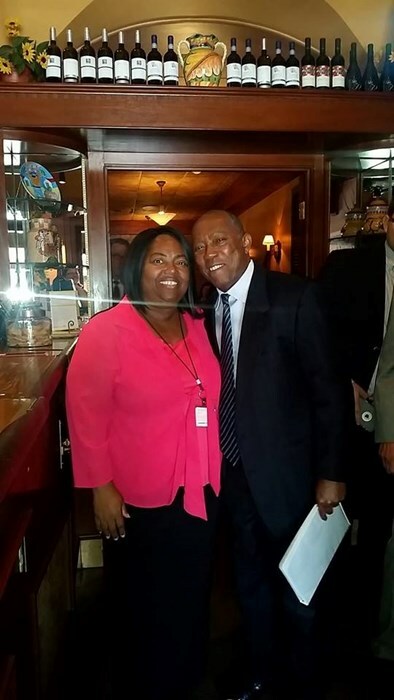 Please note Brenda Guy The One Woman Show will also travel to Bellaire, Galena Park, Alief, North Houston, Missouri City, Pasadena, South Houston, Stafford, Humble, Sugar Land, Channelview, Pearland, Fresno, Deer Park, Katy, Spring, Cypress, Klien, Friendswood, Manvel, Thompsons, Barker, Highlands, Kingwood, La Porte, Webster, Crosby, Richmond, Porter, Rosharon.